For those who aren’t too clued up on my career history or what I do when I’m not blogging, I’ve put today’s post together to reflect on my working background. I’ve also put together some tips for how to follow a similar path, if it is something you are interested in too. I’ve always worked in the fashion industry, which is why whatemmadid.com was born nearly eight years ago. I have had a passion for fashion and beauty since I can remember, so it seemed a natural progression for me to want to work full time in this industry when I ‘got older’. 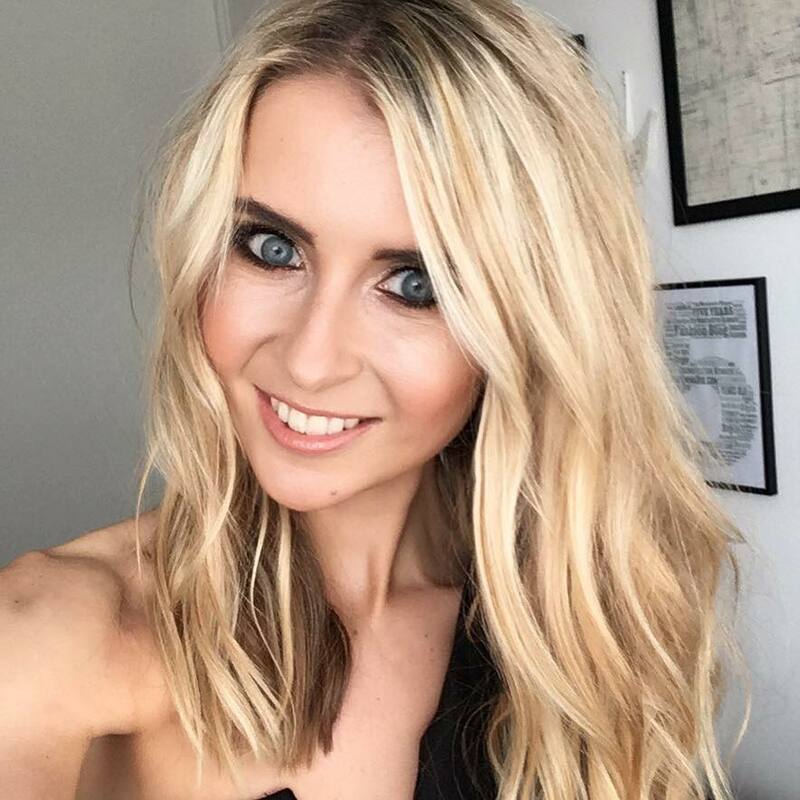 I toyed with a few areas to specialise in over the years of growing up, playing with the idea of becoming a fashion designer, a fashion writer, a fashion buyer… until I decided to take the PR and Marketing route when I started higher education. This choice has allowed me to have a successful career in brand and retail public relations for the past eight years since graduating from University, as well as setting up my own business. Last weekend, I headed to Manchester House in the city centre to shoot my newest collection of occasion dresses for my boutique, which allowed me to reflect on how much I love working in this industry. I truly love everything about fashion, and having the opportunity to get together with my photographer and shoot the newest range of dresses made me feel a sense of pride. I’ve popped in a couple of sneak peak photo’s below which are taken from the day, which is followed on by some tips I recommend following if you too are thinking of working in the fashion industry. The fashion industry is fast become over crowded, so I would recommend having as much education and qualifications on the CV as possible. There are some really beneficial fashion related degrees out there across the UK which incorporate aspects of business, marketing and graphics too, which are needed skills in the industry these days too. Take a good look at combined degrees, or those with a sandwich year. A sandwich year will let you experience working in the industry for a year, teaching you important on-the-job skills, and give you a good idea if it’s the area for you before graduating and throwing yourself head first into the fashion world. It could also create relationships that are vital for job hunting once university is over. Not only is education important, but in this day and age, experience in the industry needs to run alongside your qualifications too. A candidate who has studied the industry as well as carried out work placements is always going to top those who only have one of the two. If you struggle to make the work experience commitment due to some of them being un-paid, try to cram in the odd one here and there just for a week period. Email design houses/ PR agencies/ brand head offices and offer a week of your time during holidays to help out. Find independent designers or labels and ask to help out on one of there fashion shoots. Contact startup brands and see if they need help with their social media that you can do from home. There are lots of little ways to get some hands-on experience to add to the CV. If you live in Manchester or London, take a look regularly at The Fashion Network, who often advertise intern positions for some big name companies and also new independent brands. I carried out a mix of placements at newspapers, in-house PR and fashion head offices to witness a real mix of the industry. Most people these days who want to work in fashion start their own fashion blog, or have a go at making their own jewellery or clothing. Whatever area of fashion you wish to go into, find a way to keep busy in your spare time by having a dedicated ‘fashion’ hobby. A lot of hopeful fashionistas also try their hand at photography in their spare time too, shooting street style or creating inspiration boards from their own snaps. Whatever it is, it shows you are dedicated and have a general fashion industry lifestyle, which employers will love. The saying that sometimes it’s not what you know but who you know is a clever one, as it really can be true in some cases. Be polite and leave a good impression with everyone in the fashion industry that you meet – you never know when you may cross paths again, or if they change company or recruit for a graduate. Also try and attend events in your area for people in the business, or little get together’s for the creative industries. If you blog, go to meetups with other bloggers and brands, and join as many social media networking channels and try to interact with others with the same interest and also your favourite brands. Don’t forget Linkedin too – it’s a great networking channel for those keen on being connected with others in their industry – and make sure your profile is up to date and spelling error free! I’ve come across a few people in the past who I have interviewed to work with me for a fashion brand, who have classed fashion magazines such as Marie Claire and Elle as their bibles. This is fine, but try to expand your reading material a little more out of the box. Look at industry publications such as Retail Week and Drapers, or creative magazines like Creative Review. You can purchase more design led magazines like ID and Dazed and Confused, which are great for encouraging your inspiration and ideas. Above all, a hardworking and can-do attitude is key to working within the fashion industry, and an obvious love of fashion, trends and styling hugely helps. For interviews, make sure your dress sense reflects the company and put a lot of thought into it, as some brands and companies do encourage your own personal style to show through yet want to see you as a potential brand ambassador. It’s a highly female dominated industry, so be wary of competitiveness, and come across as helpful and eager to learn so that the other women see you as a supportive team member. If you need anymore help, just leave me a comment or drop an email over!